Few images in rock 'n' roll are more striking than the virtuoso bent studiously over a double neck guitar, trying to wring the last burst of passion from the instrument. Many well-known guitarists have made use of the double neck guitar's expanded tonal capabilities--from topflight players such as Jimmy Page of Led Zeppelin to lesser-known figures from country and jazz, such as Junior Brown and Danny Gatton. The double neck guitar often is ridiculed as a symbol of "Spinal Tap"-ish excess, but a look at the reasons for using it reveals some surprisingly straightforward answers that can elude the critics. Double neck guitars have existed for at least two centuries, though they should not be confused with their first incarnation as "harp" guitars--a specific term for a family of instruments fitted with any number of open strings to accommodate individual picking. Manufacturers flirted with multi-neck designs during the swing era of the 1930s and 1940s, particularly for steel guitars. 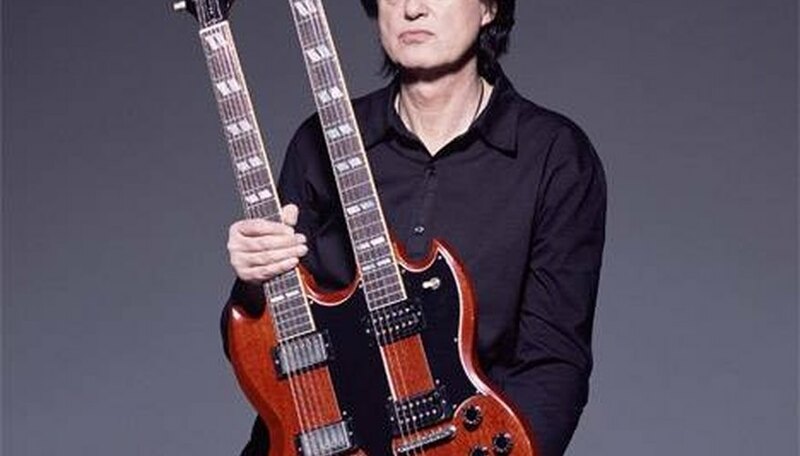 However, Gibson is credited with popularizing the first widely used double neck model, the EDS-1275, in 1958, the same year it rolled out several other major guitars, including its ES-335, Explorer and Flying V models, and a good five years before Rickenbacker's introduction of its own 12-string electric guitar. For discerning players, the EDS-1275 changed the game by incorporating a six- and 12-string guitar into its dual-cutaway, double-hollowbody structure, allowing a wider tonal palette without having to retune or switch guitars. A similar philosophy prevailed with the EMS-1235 Double Mandolin, which incorporated two six-string guitars, including one tuned an octave higher to help reproduce a mandolin sound. In 1962, Gibson changed the EDS-1275 to a solid-body design with the cherry-red finish that remains familiar to collectors worldwide, primarily because of the man who remains most associated with it: Jimmy Page. Page did more than any player of his generation to popularize the EDS-1275, which he used exclusively for live performances. Fittingly, the EDS-1275 got its most prominent workout on one of rock's great anthems, "Stairway To Heaven." Page typically played the song's introduction and first verse on the bottom six-string neck. He would switch to the upper 12-string neck for the majority of the song, alternating between the six- and 12-string necks for the final outro solo and chorus. Page's bandmate, John Paul Jones, eventually started using a triple-necked bass, including one dedicated to a mandolin. Modern rock players such as Page--as well as peers such as Cheap Trick guitarist Rick Nielsen, who is no stranger to two-, three- and even five-necked guitars--are not the only musicians to have heard the double neck calling them. In 1985, roots country guitarist Junior Brown realized a five-year dream to design his "guit-steel," a hybrid of electric and lap steel guitars with double necks fused into a single body. Brown told the Washington Post he got tired of making clumsy switches onstage between guitars, so the guit-steel seemed like a good solution. 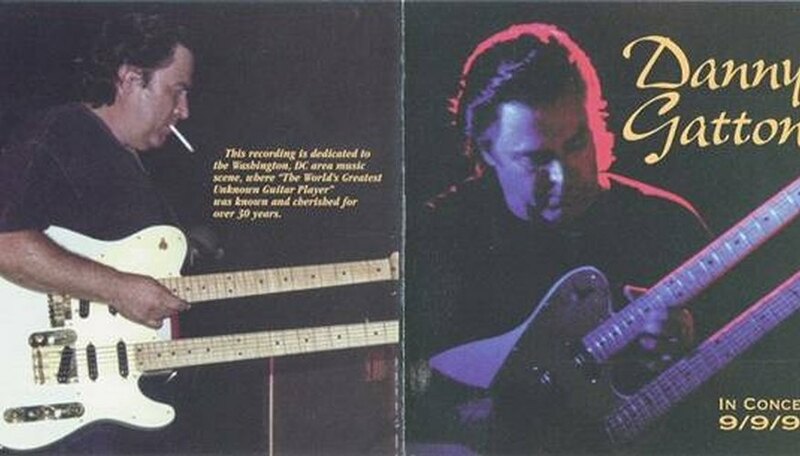 The late country-jazz instrumentalist Danny Gatton played a model that combined a standard Telecaster guitar neck on top with a 30-inch, six-string bass on the bottom--enabling him to match upright bassist John Previti tone for tone. 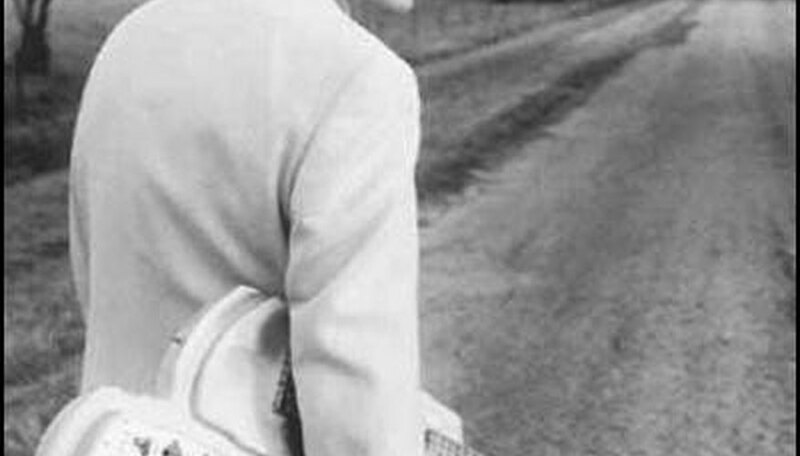 This guitar can be heard on "Live 9/9/94," the last album Gatton released. Not surprisingly, the double neck remains more accessible to the topflight player, but not just for cost reasons. Gibson discontinued the EDS-1275 during the 1980s, only to reintroduce it in the 1990s. Today, the EDS-1275 is no longer a standard production model and can only be ordered from Gibson's custom shop. However, Gibson has since produced an EDS-1275 Jimmy Page Signature Model designed to replicate the look, sound and feel of the guitar used on Led Zeppelin epics such as "Stairway To Heaven," "The Rain Song" and "The Song Remains The Same."